I wish I could say I was a friend of Mary Tyler Moore’s, she surely made you feel that way. There was a time when she, or her beloved husband Robert, and I would pass and a ‘hello’ was stated. We knew of each other in the same battle. She wrote a wonderful inscription in her book when she sent it to me to thank me on a specific project we worked on together and I will cherish it forever. She THANKED me. Really? Like I could ever be on par with what she had done over the years. We worked together on fundraising, Washington DC advocating, and when it came to ANYTHING diabetes…..rest assured Mary was there in full force……how lucky was I to have just a little piece of life with this incredible woman. It’s not often one gets to work with an icon, with a person who has her character-genetic pool somewhere in almost every comedic character to appear on TV—she was not the best—she was the best of the best and she did it—-while battling diabetes. I have stated it before, and will always feel the same, no one in the celebrity world came close to do for the world of diabetes than what Mary Tyler Moore accomplished with JDRF. Her efforts were tireless over the years. She would attend events, meet with elected officials, testify before congress and yet, it was when she met those who lived like her….with diabetes, that I will remember most. The time she took to speak to them and relate to them, to tell them they would be okay…..that is the Mary I will remember most. Every organization under the sun wishes they had a spokesperson the caliber of Mary Tyler Moore. Her connection with JDRF (and what was then JDF) was, and is, legendary. She loved the JDRF and the people involved with the organization. How fortunate they are, and were, to have Mary as part of their family. My heart goes out to the many who worked with her at the JDRF, especially Karen Brownlee, who worked with Mary for years as the Liaison between the JDRF and Mary’s ‘people’. Rest in Peace friend, and thank you. A Group in Myrtle Beach, SC, Reminds Us All Why We Ever Started. Yeah, it’s a walk. Or a Walkathon. A walk to….. A walk for…..You know…….a walk. But do you really know? Do we REALLY know? The ultimate ‘grassroots’ event is the walkathon. Created, according to some accounts, by the March of Dimes Organization a million years ago. Walks do not JUST happen. They are hugely labor intensive. When I landed in South Carolina on Wednesday, the JDRF Nation (which I understand to be, like a third-party event) group of volunteers organized a walk at the Pelican Stadium in Myrtle Beach South Carolina to benefit the JDRF on the following Saturday……why not I thought. I went. Boy was I glad I did. No major staff time spent on this event—-it was all volunteers. Kaitlyn’s Crusaders; Madi’s Dream….to Live for a Cure; Lynden’s LifeGuards, Sophie’s Squad, Violet’s Petals, Skippy the LadyBug were just some of the team names. People impacted by diabetes. People who wanted to do something, anything, to feel like they are making a difference. The event was organized by Bonnie Mills. A mom. But not a mom to a child with diabetes. She works for Sanofi. She has seen diabetes for over 20 years. She has seen a lot. She wanted to do more. She does not have to do it and I’m sure, perhaps, her boss might even wonder…..why Bonnie does so much. But to these parents, there is no question that Bonnie is the driving force behind this event……..and to me; that does makes good business sense. But this is an event way beyond business. This is an event that runs on adrenaline and passion. Parents who told me it would be great if a cure could be found. As Bonnie put it, “100 people or 1000 people, the spirit is awesome.” And she was right, it was. It is. From the prizes, to the group ‘All That’ who appeared on America’s Got Talent, to Raina who sang the National Anthem, to the American Legion Honor Guard, to Spiderman and Arial….but most of all…..to the kids. The kids who live with diabetes who want a cure. When you become involved for any length of time, you may forget how important these-type walks really are. Not just for the money raised, but for being together as one unit who want to stand up and say, “…..diabetes will not stop us from anything.” John, Kailyn’s dad tells her everyday that she can do anything, Madi states, “I have diabetes and I can do a lot of things”……..indeed. One shirt had a bible verse on the back stating, “When you go through deep waters, I will be with you”, from the book of Isaiah and as someone from the team shared with me, “We’ve got this.”….yes, I believe you do. If you need to remember what this ‘finding a cure thing’ is all about; or if you have been at this for a long time and think hoping for a cure is not worth the energy…….stop at a walk on a weekend. In a stadium for a baseball team called the Pelicans, I found a group of people reminding all of us what ALL OF THIS FUND RAISING is all about……………it was, is, and has always been about the kids who need to have hope to hold on to. That, like a walk in Myrtle Beach, South Carolina; begins with just one step. 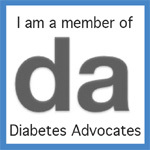 Celebrities Should Help with Diabetes Causes…….Uhm……They DO!!!!!!! When people help us, it should never be forgotten. I have often read comments from people in the diabetes community about how they wish people, celebrities, would do more to help. The truth of the matter is that there are quite a few. Of course we always believe that our diabetes concerns should be front and center but it is a big world out there and only limited space for so many causes. Let’s take a look at just some, and a BIG ONLY some, of the celebrities and how they have helped in various causes. Without question, the leading celebrity voice for diabetes causes is Mary Tyler Moore. Ms. Moore’s efforts on behalf of the JDRF span the decades but she was not alone in assisting diabetes causes and there have been many. Ever see this one with Sandra Oh, Nicole Johnson, and Brett Michaels to name a few. Are there any Ray Romano Fans out there? And for you boxing fans; Sugar Ray Leonard. He not only did this PSA for the DRI (actual website is www.DiabetesResearch.org) but also did them for JDRF. And music sensation, Nick Jonas, did much work for many organizations, here is his PSA spot for the American Diabetes Association along with Jay Cutler’s spot as well. Many celebrities from sports and entertainment attend events on our behalf, testify before congress, lend their names and their time to attend events, donate money (many times without any fanfare), and even perform, as is the case tonight in Miami where music icon Barry Gibb will be singing some of his top hits from the Bee Gees at the DRIF’s Love and Hope Ball for almost 800 people. This is but a sampling (and surely not a complete) of an ever-growing list that includes others like Ray Allen and his family, Olympian Gary Hall and Kris Freeman, other football greats Kendall Simmons and Vince Wilfork, race car driver Charlie Kimball and there are many, many more of which I have not forgotten, but only used a sampling to show that so many DO INDEED care; and help. Feel free to add anyone you want to mention as a reminder to everyone else. 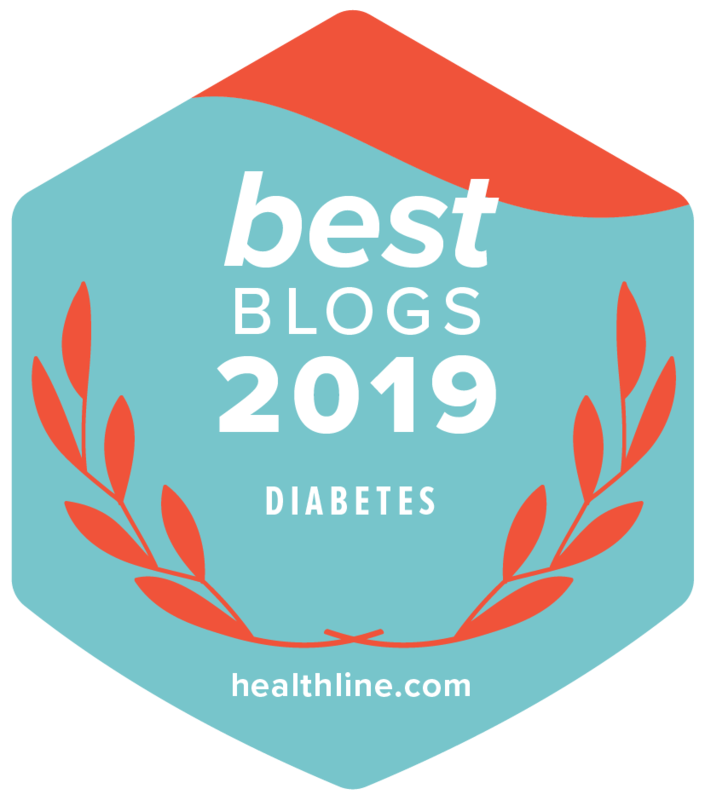 We surely would love for many more stories in the news and the media to center around diabetes and surely we would like the list to grow, and the stories be more plentiful, but we should also recognize that many do much. And we all surely appreciate it………don’t we? …..and the answer is, who is Mary Tyler Moore. We can argue the point whether or not Ms. Moore is the greatest TV and/or Female TV personality of all time; but she stands alone when it comes to spokesperson in the world of diabetes. I can tell you from meeting her many times and actually spending a few hours with her when she joined me in a ‘an ask’ from a major donor and the announcement that followed when I was with the JDRF; that she was always and in all ways 1000% focused on her mission with the JDF (JDRF) and with diabetes causes (among others). One must remember that this woman was/is sought after by every form of media and every talk show at any given time. And when it came to diabetes; the amount of time she gave, when asked, was remarkable. In many cases when you say diabetes to someone outside the diabetes community, it is not uncommon to hear, “Oh the one that Mary Tyler Moore” is active in. And how; ‘yes’ she is. Despite dealing with T1D herself, Ms. Moore threw herself completely into a role that would lift the visibility of diabetes in this world as none other before or since. From a public face, to presenting high honors, to speaking at events, to leading the charge in Washington D.C. and even being involved with ‘asks’ for money from private donors, Mary Tyler Moore set the bar for celebrity involvement in an organization; and how fortunate are all of us in this diabetes community? Changing the world with that million dollar smile, was only the beginning. After trying her hand at movies for a few years, Moore decided, a bit reluctantly, to return to TV, but on her terms. The result was “Mary Tyler Moore” (1970), which was produced by MTM Enterprises, a company she had formed with Tinker, and which later went on to produce scores of other television programs. Moore starred as “Mary Richards”, who moves to Minneapolis/St. Paul on the heels of a failed relationship. Mary finds work at the news room of WJM-TV, whose news program is the lowest-rated in the city, and establishes fast friendships with her colleagues and her neighbors. The show was a commercial and critical success and for years was a fixture of CBS television’s unbeatable Saturday night line-up. Moore and Tinker were determined from the start to make the show a cut above the average, and it certainly was – instead of going for a barrage of gags, the humor took longer to develop, and arose out of the interaction between the characters in more realistic situations. It was also one of the earliest TV portrayals of a woman who was happy and successful on her own rather than simply being a man’s wife. “Mary Tyler Moore” (1970) is generally included amongst the finest television programs ever produced in America. Do Kids with Type 1 Deserve to have a Wish Granted by Organizations? Years ago I had the wonderful experience to help two different families at two different times. Little Anthony and Kevin both had cancer, incurable cancer. The results were known and even though both gave a valiant fight and underwent almost every treatment available, eventually the battle was lost. When Rob graduated, I thought of Little Anthony’s family as they were both the same age and surely we have had the wonderful opportunity to witness and enjoy our son, they were not so lucky. Years after I ran the event for Kevin, a woman stopped me in a 7-11 and she said, “Tom, you may not remember me. I am Kevin’s mom and you helped us years ago.” We hugged and she told me what was going on in her life and how much she appreciated all that we did. We were never experienced in any such way that compared us to what these families went through. If you do not know about the so many pediatric cancers, count yourself lucky. When it’s a terminal, malignant, progressive, and degenerative diagnosis; it is just overwhelming to watch, witness, and share. I remember someone asking me about one of the organizations that grant a wish for kids with such diseases that Kevin and Little Anthony suffered with and if I thought kids with type 1 diabetes were eligible. I answered ‘no’ immediately. I answered no because I felt that if anyone on this earth wanted and/or deserved a wish to be granted; it would be these two little boys and their families. I’m not comparing diabetes to cancer, and won’t. But in as much as I completely understand what it is like to have two kids with diabetes, and I know all of the management needed; and know the fears; and just completely understand; I would never think for a moment that what we do on a daily basis was the same life threatening and terminal situation that would warrant a utilization of a granted wish. Most important is that NO ONE ‘DESERVES’ anything; they are granted at the goodness of the person or organization granting them. To me, TO ME, it just isn’t. Is diabetes life threatening. Yes it is. Is it a life threatening terminal disease with no chance at a quality of life as others have? No it is not. Now one can pick apart the words as life threatening and/or quality of life and try to make it a crystal clear-cut meaning but the truth is—-it isn’t crystal clear. My kids do not have a life-like kids who do not have diabetes and neither do we as parents. But we also do not have the same life as those who are literally dying with each day that goes by; they are not growing weaker with each day that goes by; they are not on a time-table that will snuff out their lives in six months. Yes, I know that IT COULD be snuffed out; but it is not a predictable end. Again, recently, someone asked me if I thought that our children are ‘deserving’ of a granted wish? I found that some parents were quite set in their thought process that an organization should be granting wishes to kids with type one diabetes. No they shouldn’t. Why? Because they said they shouldn’t. Now before some of you want to hang me; just keep reading until the end. There is a Board of Directors that have set a criteria for these type of organizations and Make-a-Wish is only one of many such organizations. But it is clear that if a child does not have a progressive, malignant, and degenerative disease; they do not qualify for a wish. Quite simply; our kids do not. There must be a line drawn that allows a gauge to decide who gets a wish and who does not according to the various groups I spoke to preparing for this article. That line in the sand is not an easy one. It is drawn because there MUST BE a divide and no matter where THAT DIVIDE is set, someone will asked it to be moved once again. So most groups draw the line and do not move it. It is not for a lack of compassion, it is an act of practicality. Another commonality from the organizations is that there are not enough funds to grant all of the wishes that they would like to grant to those that fit the criteria they have set, much less trying to stretch the parameters to include additional children living with other diseases. I’m not saying what our children live through is not horrendous, I’m saying organizations have the right to set their own criteria and it should be respected. Almost any group that is created, or has been created, was started because the group felt that the existing organization(s) did not fulfill the need adequately on what they found/deemed to be important. So if you believe, and believe strongly enough, that children with type 1 diabetes should be allowed to request a ‘granted wish’, I would suggest that you begin such a group. There are groups that create wishes from a life experience to supplies to clothing. Why can there not be one for diabetes? That is question for you to answer. Kids with diabetes, in most cases, are not adequately considered for a college scholarship based on a disability. Those that grant these scholarships grant them based on those who have overcome incredible odds; sounds like our kids doesn’t it? But alas they are not considered in any place that I know of giving scholarships based on overcoming a disability; and feel free to enlighten me if I’m incorrect. With that in mind, the Diabetes Scholars Foundation was created. Guess what their number one criteria is? Yup, you must have type 1 diabetes. Now they could have spent years trying to get groups and organizations to grant a scholarship; or they could do something about it NOW. In 2008 they gave 18 scholarships and in 2013 they gave 49. So the point of my story today is not just about whether kids with type 1 diabetes are deserving of a granted wish; my point is that here is an opportunity to fulfill a need if you think it is needed strongly enough. Years ago there was the American Diabetes Association; Lee Ducat thought there should be more focus from an umbrella organization to fund type one research; and she and her friends created (what is now called the) JDRF. Barbara Singer and her friends believed that there should be place where actual science was being done solely dedicated to curing type 1 diabetes and they created the Diabetes Research Institute. So if you think that something is not being done that needs to be done…….make that wish come true.